The first Chamber Cruise Night on April 27 was a smashing success for a season opener. We had 35 entries, and thanks to Sonic Drive-In, Max Motors and O’Reilly Auto Parts, everyone who came out had a fun time. 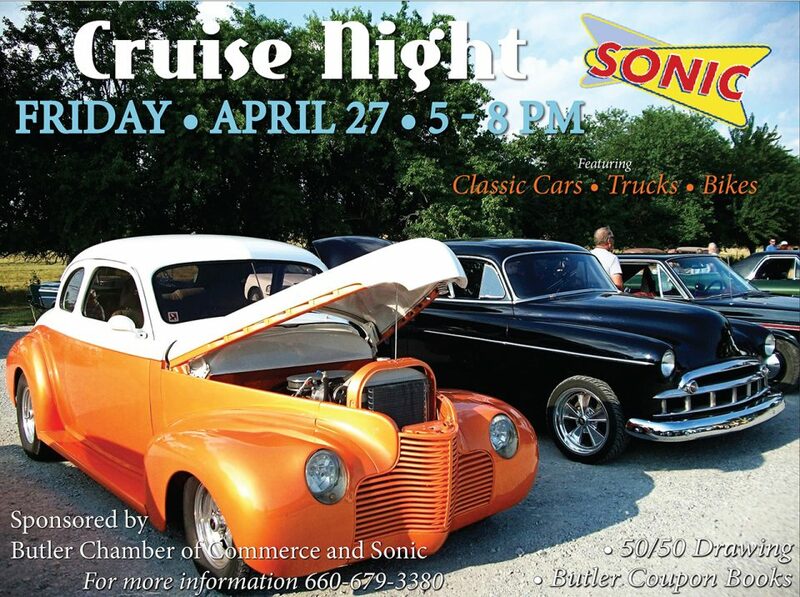 We have a few more Cruise Nights planned, and we hope to see you at the next one on June 22 at the Sonic Drive-In from 6-9 pm. Be sure to follow our Facebook page to view photos and stay up to date on the latest news from the Butler Chamber of Commerce. Call 660-679-3380 for more information. Hope to see you there!